Remember this? The banana-color Galaxy S10? For those who were closely following-up and monitoring the Samsung Galaxy S10 leaks must have seen the image of yellow-color Samsung Galaxy S10 before. Unfortunately, as much as you want to get the banana-color Galaxy S10, the phone may not be available on your region. If you are staying in US, you are out of luck. Samsung – for whatever reason that is, skipped yellow in US. However, Samsung got something that could make the rest of the world jealous – as a replacement for the missing yellow, US gets flamingo pink Galaxy S10! When I checked Samsung Galaxy S10 on Samsung official website, I was quite shocked to learn that different region has different color availability. Not sure why Samsung does this, but here’s the summary on few countries I checked. In case I didn’t include your country in, you may want to check Samsung official website for your country (check here https://www.samsung.com and select your country) to see if the color you want for Galaxy S10 is available at launch. Not sure if Samsung does this temporarily to catch up with the manufacturing process or really certain color will be made available on certain regions only. I’m pretty sure there’s plenty of people who like the banana yellow and pink color Galaxy S10 especially youngsters and girls (for pink color). Have you pre-order yours? Which color are your ordering? In case you haven’t decided, consider checking this link here for a one glance summary specs sheet of Galaxy S10 for your easier comparisons. 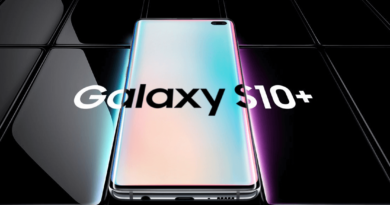 ← When Samsung Galaxy S10 become available?